Stuart Thomson has put up a great site Desire Lines for Change showing how the Smap software can be used to contribute to community discussions and decision making. This fits well with one of the principles on which the software has been developed. The idea came from when I worked at Rolls Royce aero engines R&D labs back in the early 80’s. 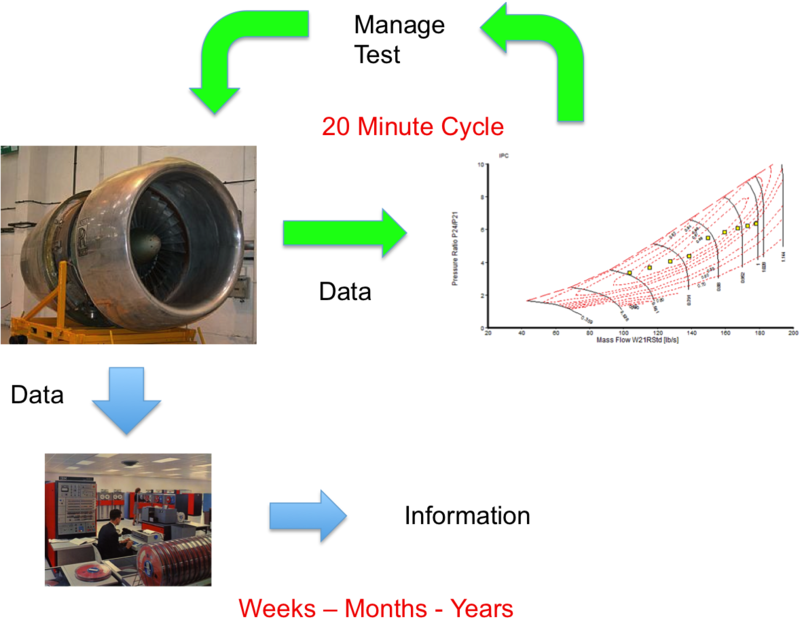 Royces had this concept of assessing in real time whether or not an engine test was successful, real time was defined as 20 minutes. Within this time it had to be possible to decide if the test was successful and whether or not we could move on to the next test. The totality of the data from the test, which could be very large, would however be analysed over weeks, months and even years in order to contribute to engine design decisions. If this data was going to be useful then we had to know if we had done enough cycles and the engine was run within the required parameters. The diagram below shows the principle. The Smap mobile phones software is intended to contribute to this sort of real time assessment shown as the green 20 minute cycle in the picture above. The data is collected and can then be analysed in the dashboard which may result in requests for more data. Once the data is assessed as sound it can then be exported and analysed in a statistical analysis package or a GIS system over much longer periods of time. Similarly as described in Desire Lines for Change, an initial assessment with the mobile phones can be made. The data can be analysed and checked using the dashboard. It can then be posted into a community forum to prompt an ongoing discussion, the results of which can be used in subsequent design decisions. This entry was posted in Ponderings on February 19, 2013 by Neil Penman.